Image courtesy of Dr. Ayanava Majumdar. Heavy rainfall has decreased the number of pests in Alabama. However, the pests have not disappeared. Ayanava Majumdar, an Extension entomologist for the Alabama Cooperative Extension System, gives an update on what he is finding in his sticky traps. The increased rainfall in the Southeast has kept the pests somewhat at bay. Majumdar says he is receiving more calls about disease outbreaks rather than insect activity due to the weather patterns, but pests are still being found in his traps. Majumdar says the beet armyworm seems to be increasing. 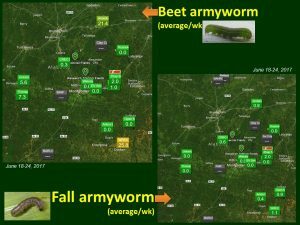 Beet armyworm feeds on several crops, including tomato, potato and pepper. Majumdar adds that moths have been showing up in good numbers as well, including cabbage looper and squash vine borer. 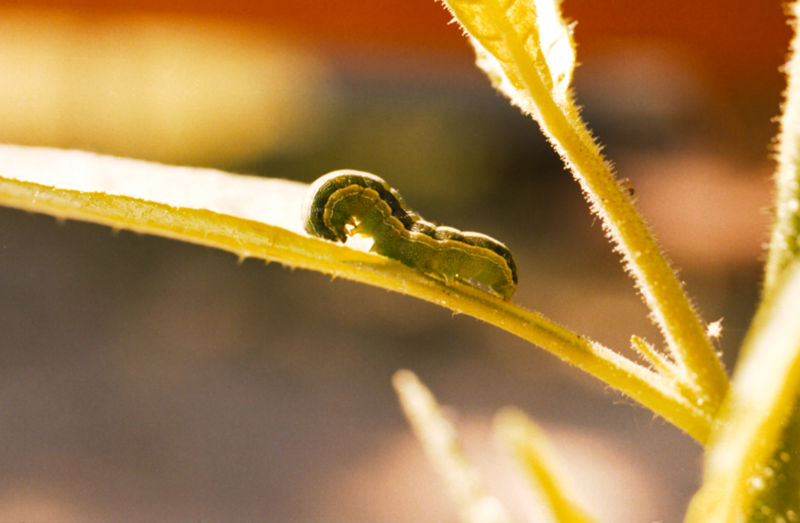 The presence of these pests mean growers may start to see egg masses in the crops. When looking for egg masses, Majumdar advises looking at the top of the crop, because the egg masses are typically found in the softest part of the plant. Fall armyworm, a sister species of beet armyworm, is another pest to look out for in the coming weeks. 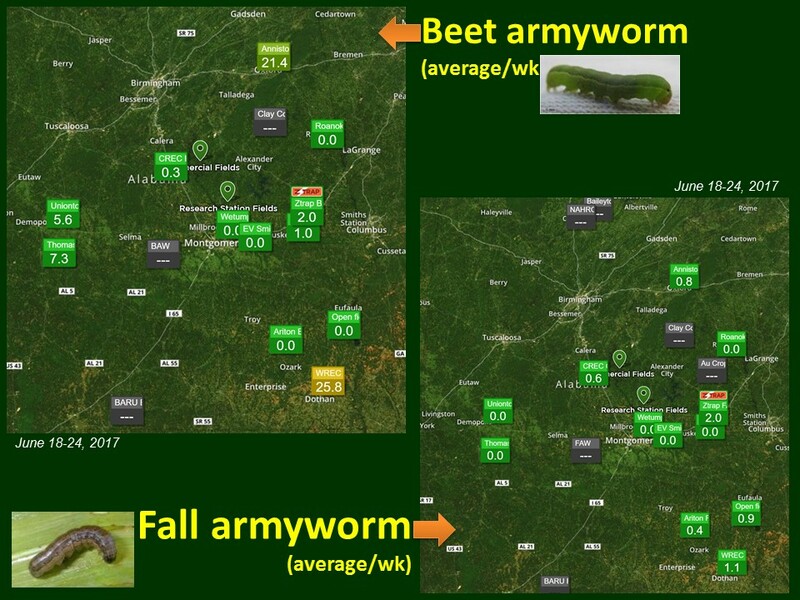 Fall armyworm migrates from Florida, so Alabama does not see pressure until mid-July or early August. Although insect pressure is lighter due to the current weather patterns, pests are still prominent. Majumdar recommends continuing regular pest management practices despite the rainfall. 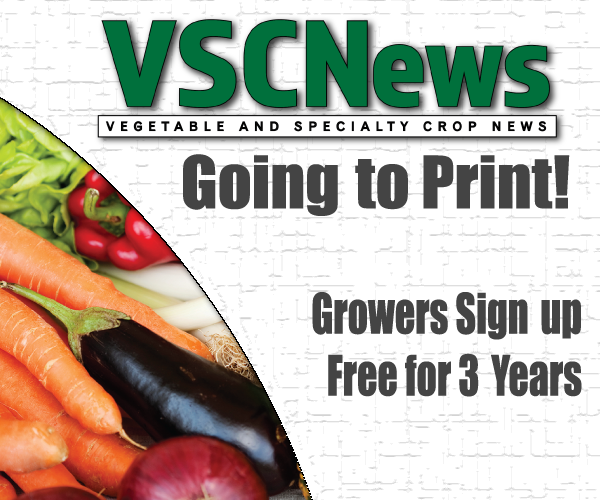 He also reminds growers to take pictures of any insect they do not recognize or would like to know more about, and turn those pictures in to their county or state Extension agent.